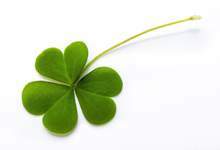 Due to St. Patrick’s Day holiday all City offices and facilities will be closed on Monday, March 19. Garbage and recycling collection is unaffected by the holiday. Garbage (1A/1B) and recycling (1B) will be collected on Monday. The Robin Hood Bay Waste Management Facility is open for commercial users only from 8 a.m. to 4:30 p.m. The Loop at Bannerman Park will be open, weather permitting, call 733- LOOP (5667). The weekly City Council meeting regularly scheduled for Monday will take place on Tuesday, March 20 at 4:30 p.m.
Access St. John’s Call Centre is available to residents 24 hours a day, seven days a week, by calling 311 or 709-754-CITY (2489) or online.